India’s long battle against AIDS is not likely to end any time soon, if the latest figures released by the National AIDS Control Organisation (NACO) on Friday is any indication. The data revealed that, as of 2017, there were 21.40 lakh people living with HIV in India. There were around 87,000 new HIV infections and over 69,000 AIDS-related deaths (ARDs) in 2017. Around 22,675 mothers needed Antiretroviral Therapy (ART) for prevention of mother-to-child transmission of HIV. India’s 2017 figures also do not show a significant positive shift from 2015, the previous year for which when such a survey had been carried out. In 2015, India had reported 86,000 new HIV infections. Of these, children (<15 years) accounted for 12 per cent (10,400) while the remaining (75,000) were adults (15+ years). In 2015, the total number of people living with HIV in India was estimated at 21.17 lakh, while the same figure was 22.26 lakh in 2007. The 2017 estimation report also indicates that there is no place for complacency as the country aims to achieve the ambitious goal of ending AIDS in India by 2030. It adds, however, that the impact of the HIV/AIDS control programme has been significant, with more than an 80 per cent decline in estimated new infections from the epidemic’s peak in 1995. India “underestimated” leprosy and diverted funds meant to eliminate the curable disease for 18 long years, the Supreme Court said on Friday. In its 22-page judgment, a Bench led by Chief Justice of India Dipak Misra pointed out that though the country was declared leprosy-free on December 31, 2005, the reality is “entirely different”. The Supreme Court referred to progress reports of the National Leprosy Eradication Programme (NLEP) to show that only 543 districts of the total 642 districts in the country had achieved the World Health Organisation-required prevalence rate of less than one case of leprosy for 10,000 persons. The Indian Air Force and its arms are fully geared up for supporting the first Indian human space mission of 2022, IAF chief Air Chief Marshal B.S.Dhanoa said on Friday. Coming at a short notice, the Human Space Flight Programme or HSP is daunting and throws a different kind of challenge at the IAF, he said. “We have in-house capabilities at the Institute of Aerospace Medicine [IAM]; we have selected our cosmonauts in the past. IAM will play a key role in human engineering support and the development of the space crew capsule. It is fully geared up to whatever tasks it must do,” Air Chief Marshal Dhanoa said at the institute’s annual aerospace medicine conference. Selection of astronauts would take 12-14 months. Indian Space Research Organisation, which is tasked with the mission, also called Gaganyaan, has earlier said its three astronauts will most likely be from among the IAF’s test pilots. Air Chief Marshal Dhanoa said ISRO Chairman K.Sivan has discussed the project with him and the astronauts would be selected and trained at IAM and other places once the specific requirements of the flyers are finalised. A report by the parliamentary panel on External Affairs, headed by Congress leader Shashi Tharoor, has expressed concern that Chinese infrastructure built close to the India-Bhutan-China tri-junction has not been dismantled, but “commended” the overall handling of the Doklam crisis by the Narendra Modi government. The committee was unable to table the report in the monsoon session of Parliament after protests from BJP members. The members objected to reproduction of the testimony of the Foreign Secretaries verbatim since it could have revealed some deficiencies in the Indian approach. To address the BJP members concerns, Mr. Tharoor met External Affairs Minister Sushma Swaraj and removed the contentious portions. The Army was given freedom to act as deemed necessary and it was prepared for the long haul during the Doklam stand-off last year but a full-fledged war was ruled out, said Lt. Gen. Praveen Bakshi (retd), then Eastern Army commander on Friday. “When the decision was taken, I can confess, in my opinion it was not going to break into an all-out war. We had to factor that in for the simple reason, it was the wrong place to initiate a war. We were commanding heights… We were prepared for a long haul,” Lt. Gen. Bakshi said . He was speaking at an event on Doklam organised by the Institute of Chinese Studies. Lt. Gen. D.S. Hooda, then heading the Northern Command, said recent major stand-offs were in areas where India had strength, whether Doklam or Chumar. Current Affairs for CDS, NDA, Airforce, and Navy 2018, Latest Updates. 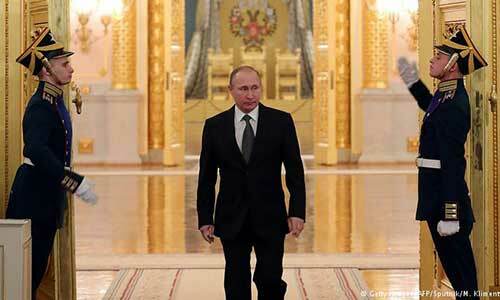 Russian President Vladimir Putin is expected to visit India in early October, an official source said on Friday. The visit of the Russian leader was discussed during the Moscow trip of External Affairs Minister Sushma Swaraj on Friday where she held talks with the newly appointed Deputy Prime Minister, Yuri Borisov. Mr. Putin’s visit is expected to lead to major bilateral deals. However, final details of the visit are still being worked upon. Ms. Swaraj thanked Russia for helping Indian travellers with easier visa procedures. “Both our countries are working towards ease of acquiring visa. I welcome Russia’s decision to introduce electronic visas for Indians who are willing to travel to the far-eastern parts of Russia,” Ms. Swaraj said during the 23rd edition of IRIGC-TEC (India Russia Inter-Governmental Commission). Earlier, Ms. Swaraj was welcomed to the Russian capital by her counterpart Sergey Lavrov. It was the first meeting between Ms. Swaraj and the senior Russian Minister following the 2+2 dialogue between India and the United States that was conducted by her and her U.S. counterpart Mike Pompeo. India’s planned purchase of the S-400 missile system had formed the backdrop of the 2+2 dialogue. Government sources had indicated that the missile system did not come up for discussion with the U.S. officials and there was an understanding that India-U.S. relations would not be affected by India’s ties with Russia. The 23rd IRIGC-TEC is significant as it comes just ahead of the crucial November deadline imposed on India by the U.S. to ‘zero out’ energy supply from Iran. Ms. Swaraj indicated that energy supply from Russia to India had increased in recent months. The President has appointed Justice Ranjan Gogoi as the 46th Chief Justice of India. Justice Gogoi will assume office on October 3. He is the first Chief Justice of India from Assam. The warrant of appointment comes less than 10 days after incumbent Chief Justice Dipak Misra recommended Justice Gogoi as his successor. The Press Information Bureau released a statement about the appointment. Justice Gogoi is the son of Keshab Chandra Gogoi, a former Assam Chief Minister during the Congress regime in 1982. Justice Gogoi was one of the four senior-most Supreme Court judges who held a press conference on January 12, 2018 bringing up the issue of selective assignment of sensitive cases by recent CJIs to certain judges in the Supreme Court. Chief Justice Misra subsequently published a subject-wise roster of cases assigned to judges in the Supreme Court. Justice Gogoi is heading the Bench monitoring the sensitive Assam NRC case. The Benches led by Justice Gogoi have dealt largely with the issue of corruption in politics and public life. Update your knowledge with The Tutors Academy, and get current affairs for CDS/NDA in English. U.S. President Donald Trump has instructed aides to proceed with tariffs on about $200 billion Chinese products, a source familiar with the process said on Friday, adding that the timing is not yet clear. Earlier, Bloomberg reported that Mr. Trump was moving ahead on the tariffs despite Treasury Secretary Steven Mnuchin’s attempts to restart talks with China. The step comes one week after Mr. Trump raised the possibility of duties on $200 billion of imports and also threatened tariffs on another $267 billion worth of goods. Mr. Trump has already levied duties on $50 billion worth of Chinese goods. The U.S. only imported $505 billion in goods from China last year. But imports in 2018 through July were up nearly 9% over the same period of 2017, according to U.S. Census Bureau data. Sri Lanka’s President Maithripala Sirisena said on Friday that he would write to the UN to drop its demand for state accountability over the alleged killing of some 40,000 Tamil civilians. Mr. Sirisena said he expected “concessions” in implementing the 2015 Human Rights Council resolution. North and South Korea opened a joint liaison office in the Northern city of Kaesong on Friday as they knit closer ties ahead of President Moon Jae-in’s visit to Pyongyang next week. “A new chapter in history is open here today,” South Korean Unification Minister Cho Myoung-gyon told a ceremony, calling the office “another symbol of peace jointly created by the South and the North”. Ashok Leyland, the flagship company of the Hinduja Group, has bagged an order from Bangladesh Road Transport Corporation (BRTC) for the supply of 200 buses. The order is for single decker AC buses which include inter-city AC buses as well as city AC buses. “Bangladesh will continue to play a key role in our strategy of increasing our export share in total revenue,” said Vinod K. Dasari, MD, Ashok Leyland. Cisco, a U.S.-based firm, has signed two agreements with the NITI Aayog and Bharat Sanchar Nigam Limited (BSNL) to speed up its Country Digital Acceleration programme in India. “The current set of investments will focus on developing use cases to showcase the possibilities of 5G in citizen services and application of innovative digital technologies in transportation modernisation,” according to a statement from Cisco. The four major tennis tournaments will continue to seed 32 players for men’s and women’s singles draws, after the Grand Slam Board (GSB) announced on Thursday it had reversed an earlier decision to halve the number. Having indicated last year that the Australian Open, French Open, Wimbledon and the US Open would only have 16 seeds from 2019, the organisation in charge of the Grand Slams said that the current format would remain in place next year. The Indian shooters finished with a rich collection of 11 gold, nine silver and seven bronze medals to take the third spot behind China and Korea in the 52nd World shooting championships which concluded on Friday. It was a giant leap by the Indians who had won just a silver and bronze in the previous edition in Granada, Spain, in 2014. China (20 gold, 15 silver, 8 bronze) and Korea (11, 14, 11) took the top two spots among the 36 countries in the medals table. As many as 3314 shooters from 88 countries took part in the competition. India fielded 142 shooters, including 63 juniors. India’s previous best haul came in 2006 in Zagreb when it clinched gold medals through Abhinav Bindra, Manavjit Singh Sandhu and junior Navnath Fartade. A 30-member wrestling contingent, accompanied by nine coaches, will hope to bring home India’s first gold in 17 years at the Junior World Championships in Slovakia later this month. The last time India won gold was in 2001 through Ramesh Kumar (69kg) and Palwinder Singh Cheema (130kg). The U-20 competition will be held from September 17-23. The Delhi High Court has appointed retired judge Justice S.P. Garg as Administrator of the Amateur Kabaddi Federation of India (AKFI) to run its affairs till further orders. Justice Garg will replace the retired IAS officer Sanat Kaul as the AKFI Administrator. He will also attend the selection process of the new kabaddi team, scheduled to be held at the Thyagaraj Sport Complex, here on Saturday (Sept. 15). 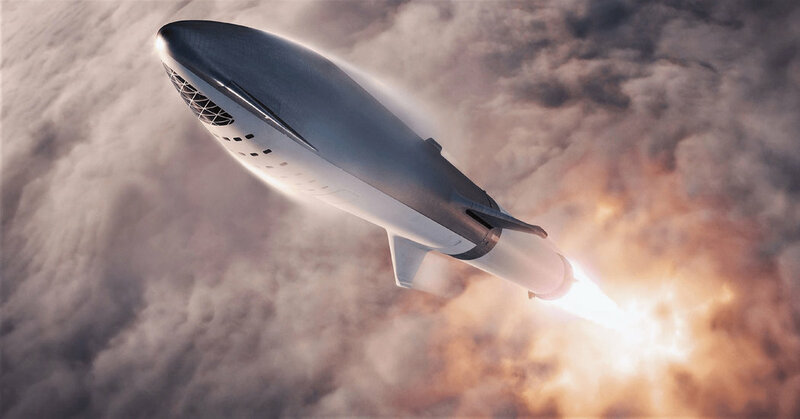 SpaceX says it has signed on the first private traveller for a lunar journey but did not reveal the name of the person. The announcement is expected on Monday. It’s not the same mission plan SpaceX founder Elon Musk outlined last year. The original plan called for two paying passengers to fly around the moon. Current Affairs for CDS, NDA, and other competitive exams, Learn more with “The Tutors Academy”. Meaning – Very old or old-fashioned. Study more 2018, Latest current affairs for CDS/ NDA and other Competitive exams with The Tutors Academy.